A picture just doesn’t do justice. 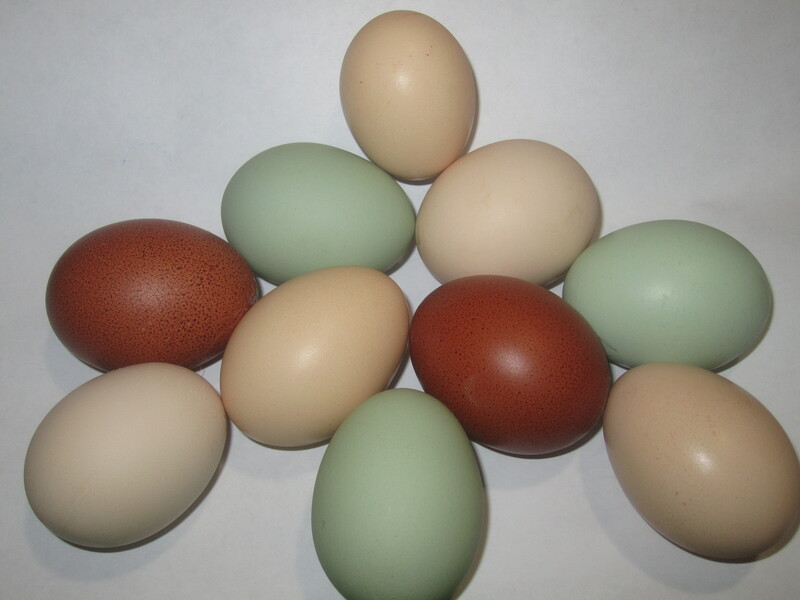 The eggs we are getting every day are so full of color. I go out to check the nesting boxes at least 3 times a day, just in case a new egg has been laid! I think we still have 4 or 5 that aren’t laying. So, we will soon have even more colors to add to the bunch! No more eggs from the grocery store!!! This entry was posted in Chickens/Ducks, General. Oh goodness, those are beautiful. The pale blue-green one is such a soft and subtle color, I love it!